Nanotechnology is a powerful but novel platform for taking apart and reconstructing nature at the atomic and molecular level with important human and environmental health ramifications. 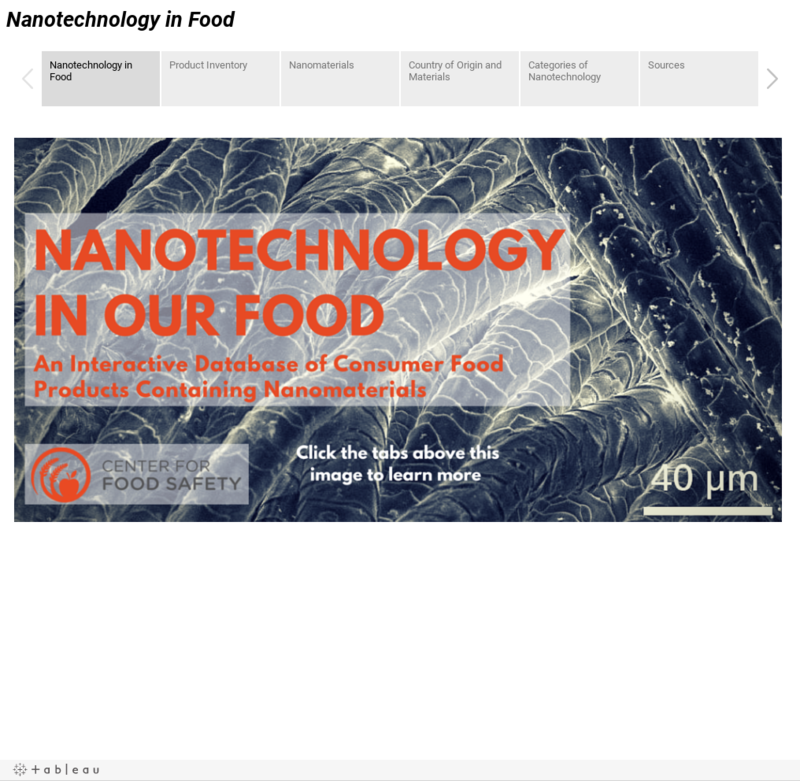 Common food-related products that contain nanotechnology include candies (M&M’s, Skittles), baby bottles, and plastic storage containers. While scientists agree that nanomaterials create novel risks that require new forms of toxicity testing, very little testing and regulation of these new products exists, and consumers have almost no information. CFS built this database as a step to fill the information gap, to alert consumers of just how widespread this technology is, and to improve transparency in our food supply.